Lisa Lewis is a special counsel in the Labor and Employment Practice Group in the firm's New York Office. 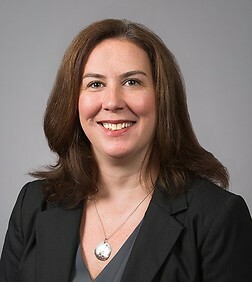 Ms. Lewis is experienced in representing employers in a variety of employment-based matters in both judicial and arbitral forums, including disputes relating to breach of restrictive covenants and employment agreements, misappropriation of trade secrets, discrimination and harassment allegations, and wrongful termination. Ms. Lewis also counsels employers on labor and employment issues, including wage and hour matters, personnel policies and internal investigations. In addition, Ms. Lewis has wide-ranging experience in complex commercial litigation, including pretrial, trial, multidistrict litigation and appellate work. She has represented clients in both federal and state courts in a variety of matters, including fraud, breach of contract, accounting malpractice, securities, lender liability and intellectual property cases. Ms. Lewis also has handled maritime disputes involving requests for maritime attachments and claims for breach of contracts. Ms. Lewis is actively involved in pro bono work at the firm and received awards for Outstanding Pro Bono Service from the Legal Aid Society in 2005 and 2006.